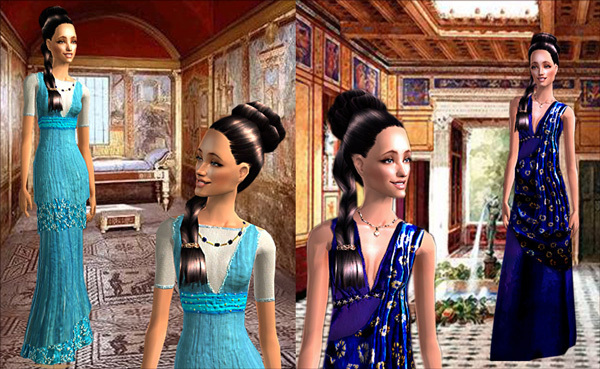 I felt like making a roman house – because I’m in a Caesar IV mania – so I made up a story to go along with the family. 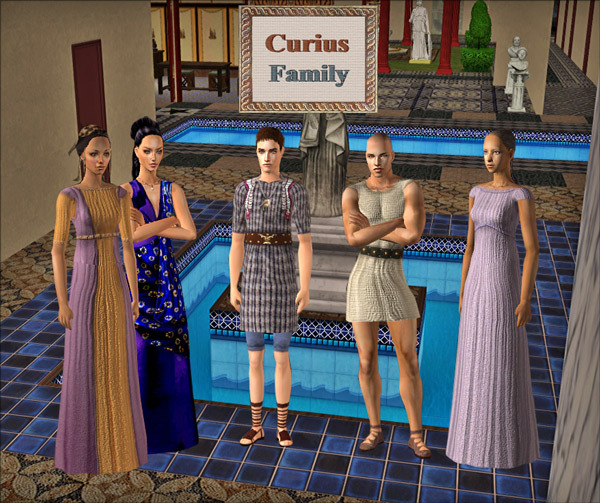 This is the Curius family. Tiberius Curius is a former soldier that used his “retirement” money to become a Well-to-do trader of pottery. His shop is in the front of the house. 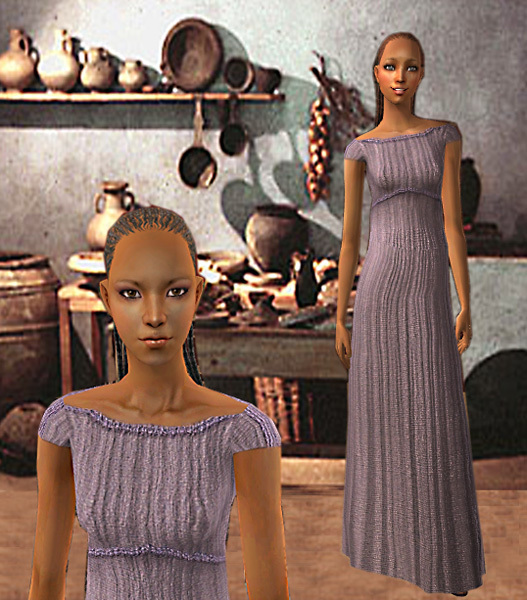 He is married to Gaia, a beautiful but vain woman, that would not be caught dead working in the shop along side with her husband, so Tiberius sheltered Audia, the widow of one of his “comrade in arms” and she is working the shop. Like most of his class, he has two slaves: Zara, a middle-eastern girl and Gaudio, from the tribes of the North, a giant that doubles as Tiberius body-guard when he has to go making business in the Subura, for instance. Roman society consisted of the few very rich persons, and a vast poor population, and the still vaster slave population that is estimated to have been almost equal to the free population. So it is fair to say that during Roman times, the average person in Italian Rome was poor. The average free citizen lived in an apartment in an apartment block of up to five stories high (insulae). Any higher, and the stone and mortar would collapse from the weight of the structure. Workshops and the homes of the artisans and their slaves occupied the ground floor level. Early versions of these buildings were made of wood. And to the brick and mortar buildings, often wooden extensions were added on to the tops to provide more living space. But they were prone to fire and collapse, so they were discouraged by the local authorities. Apartments would often consist of only one room inhabited by an entire family. The floors and walls were normally unfinished and undecorated. Generally the conditions were unsanitary, noisy, smelly an unsafe. There was no running water or indoor plumbing in these apartment blocks. Water had to be carried up in buckets. And usually a pot on the floor was used as a toilet, and then the contents dumped from the open window, that had no glass and usually only shutters or a curtain. They could also descend to use the public lavatories and baths. They did not have access to kitchens, and cooking in the apartments was frowned upon because of the fire risk, and smoke that would fill the building. So they lived on prepared food bought from tavernae (pubs), or something like today's trattorie in Italy where many prepared items could be ordered wrapped up and taken home. 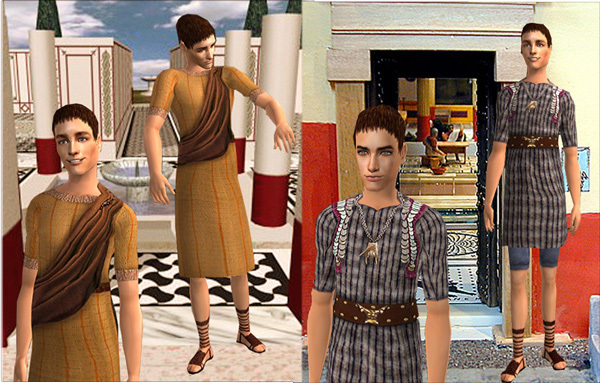 Wealthy Romans lived in homes (domus), or villas, or palaces. The domus was an urban, two-story brick home built around an open courtyard that contained a fountain that was fed by rain water collected on the tiled roof. The homes usually had running water and indoor plumbing, and were often finished with murals and mosaic floors. Villas were in the countryside on the farms. They consisted of a part for the land owner that resembled the domus, and a part for the farm workers that was less elaborate, and storage buildings for crops and animals. Palaces were built in the cities by the richest citizens, usually on the hillsides around the towns, so they could enjoy breezes, less noise, and more space. They were richly finished with murals on the walls and mosaics on the floors. They were furnished with items from all over Rome's empire.